Whether you’re traveling to see relatives or leaving the country for a tropical winter getaway, jet lag is going to be something you need to face. The uncomfortable disruption to your body’s natural clock can throw off your first few days of what should be a relaxing and enjoyable trip, so it is in your best interest to know how to fight back against this time zone-induced annoyance. Jet lag is rooted in your body’s circadian rhythm, a natural cycle that you go through over the course of a day. The circadian rhythm governs your internal times for meals, sleeping, hormone regulation, body temperature, and many other functions that are normally aligned with the clock. Jet lag occurs when the time zone you are in changes and your circadian rhythm is not yet able to align itself. 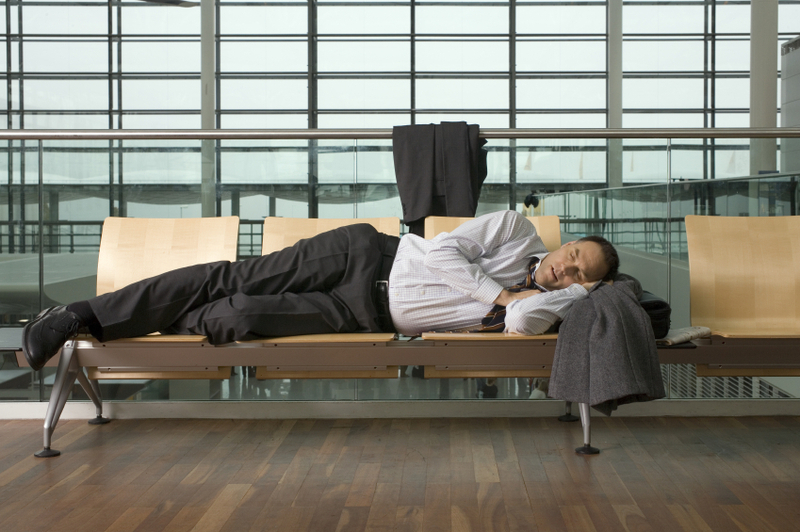 Due to the amount of travel required to induce jet lag, it normally occurs only as a result of using an airplane. Jet lag is proportional to the number of time zones you cross during the flight so it only occurs during east-to-west travel, rather than north-to-south distances. The International Date Line also has no bearing on your circadian rhythm since your body’s clock only cares about the 24-hour cycle, not the date on the calendar. The most common presentation of jet lag is with sleep disturbances, usually falling asleep too early or waking up too soon. Which one you experience will depend on whether the local time zone is ahead or behind of your normal rhythm. Difficulty concentrating, headaches, irritability, bowel movement and digestion difficulties, and irritability are all associated symptoms as well. How much time change is required to induce jet lag, and how long it takes to recover, varies wildly from one individual to the next. Being tired at the start of the plane trip makes you more vulnerable to jet lag. Maintain a good sleep schedule ahead of your departure and don’t stay up late. Exercise regularly, avoid caffeine, and stay hydrated to better ensure good sleep. Alternatively, you can try to train yourself to align with the time zone of your destination through sleep adjustments and/or light therapy. You can even set your clock to the destination’s time zone and follow it accordingly (depending on what your schedule is like over the prior week, however, this may not be possible). Stay active when you get to the airport. While waiting for your flight, try to wander around or at least find a place to do some stretches now and then. This will promote blood flow and avoid lethargy. Wear an eye mask or sunglasses when night begins in your destination. This will help your body begin making melatonin—a nighttime hormone—and minimize possible disruptions to your cycle. If possible, arrange things so your plane leaves during the night. This will allow you to get sleep on the plane and arrive more in tune with the local timezone. Obviously, this only applies if your destination’s local time would place you in the day period upon arrival. Stay hydrated: Drink water, non-alcoholic and non-caffeinated drinks. Alcohol is a depressant and will make you sleepy while caffeine will do the same when its stimulation wears off. Move around: Although you won’t be able to move as much, try to get up when you can and move about to keep your blood flow active. You won’t likely be able to perform stretches in the aisle but if you can, go for it. Rest: Focus on rest, not sleep. Powering down and enjoying some in-flight entertainment or music, books, or games of your own can help pass the time and will make it easier to actually fall asleep when the proper time inevitably arrives. Lavender oil: Lavender oil can work as a mild sedative, should you be one of those who need to top up on their sleep. Over-the-counter or prescribed sleep medications are also possible, but should be avoided when possible since they can more easily disrupt your long-term cycle. Once you land, you’re almost home free. The key is to not succumb to your desire for sleep. Falling asleep at the wrong time once you land can throw off all your hard work and make jet lag that much harder to overcome. If you must take a nap, try to do so between 2pm to 4pm in the afternoon and don’t let it last for longer than 20-40 minutes. Eat light and avoid heavy meals until your sleep cycle adjusts. Heavy meals will make you tired and more prone to fall asleep at a bad time. Resist the urge to clock-watch as well. Not only does this make it harder to fall asleep (if that is your goal) but dwelling on what time it is back home can add unneeded stress. Above all, try to stay engaged once you land. Visit your relatives; see the sights, or watch the sunset on the beach, etc. Jet lag is a temporary condition and by using these tips you can stop it from keeping you away from your holiday retreat. Figueroa, J., “10 Methods You Can Use During Holiday Travel To Stop Jet Lag From Making You Tired,” OMG Facts web site, November 17, 2015; http://www.omgfacts.com/health/24446/10-Methods-You-Can-Use-During-Holiday-Travel-To-Stop-Jet-Lag-From-Making-You-Tired. Parry, L., “Want to Stop Jet Lag Ruining Your Holiday? Eat a Salad, Ditch the Coffee, Meditate and Resist the Temptation for an In-flight Tipple, Says Expert,” Daily Mail web site, July 7, 2015; http://www.dailymail.co.uk/health/article-3147167/Want-stop-jet-lag-ruining-holiday-Eat-salad-ditch-coffee-meditate-resist-temptation-flight-tipple-says-expert.html. Silvester, A., “7 Ways To Beat Jet Lag,” Holiday Extras; http://www.holidayextras.co.uk/travel-blog/travel-tips/7-ways-to-beat-jet-lag.html, last accessed .December 18, 2015.